I have a huge bag of macadamia nuts in my pantry. Personally, I am more of a pistachio girl and those macadamia nuts were just not eating themselves (how weird would that be). I needed to use those nuts before they went bad! So I decided to throw them into my food processor and make them into a crust for chicken. It turned out pretty good. Add nuts and seasonings to food processor and process until course. Do not over-process. Pour onto plate or other dish. Dip chicken in egg or milk mixture then into the nut coating. Pan fry coated chicken breasts until coating is crunchy and chicken is cooked through (about 5-7 minutes on each side). 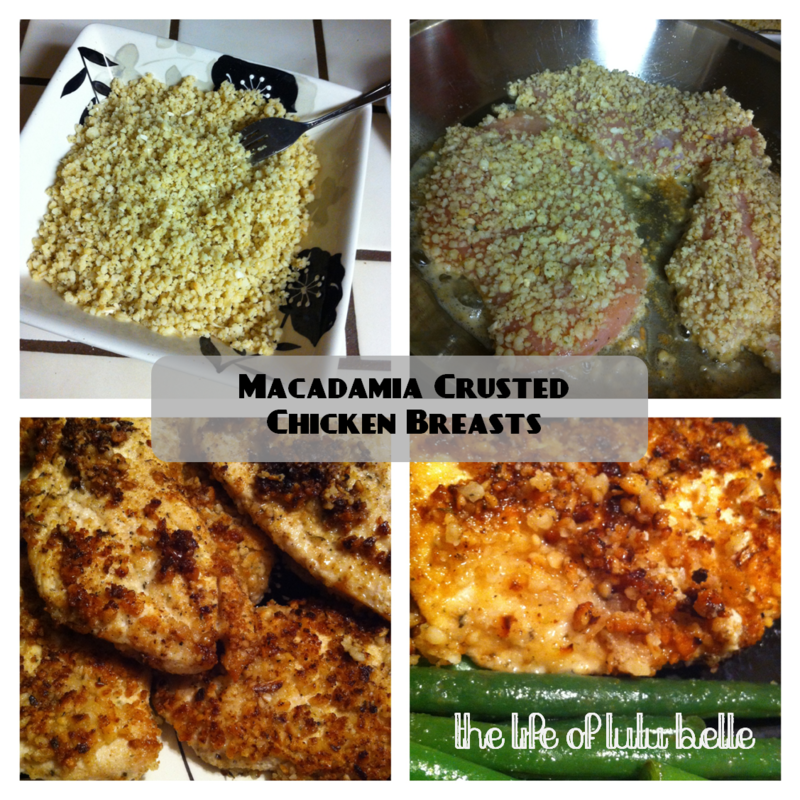 The darker bits of the macadamia breading was actually the best. Next time I might strive to get it all that dark; the crispy, nutty crust was delicious!